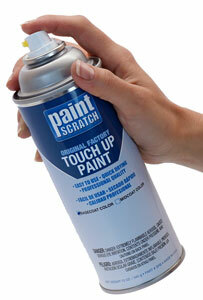 PaintScratch sells the highest quality Volkswagen spray paints on the market. Order Volkswagen spray paint by clicking your model above. Then select your Volkswagen year and color to order your Volkswagen spray paint. Greetings VW drivers - if you are looking for Volkswagen spray paint, you are in the right place. We sell an enormous variety of VW spray paints including colors like Techno Blue Pearl Clearcoat for a 1988 Volkswagen Beetle and Candy White for a 2012 Tiguan. Regardless of which year and model you drive, we are pretty sure you can find Volkswagen spray paint that matches it here. Just find your VW in the list on this page and click. Order your VW spray paint color now and in few days you will be ready to touch up any scratches, chips or dings your VW paint has sustained!